APeeling Paper Crafts: Spinner card! Club Scrap technique challenge. Spinner card! Club Scrap technique challenge. Hi friends! Cloudy all day today...sooo a perfect crafting day!!! I played along at the Club Scrap Technique challenge-Spinner Cards. I used July's Club Scrap kit Vintage Botany to make my card. This was so fun to make! There are great directions on the Club Scrap blog post. I added some beads on my string and used embossing powder on the spinner dragonfly. 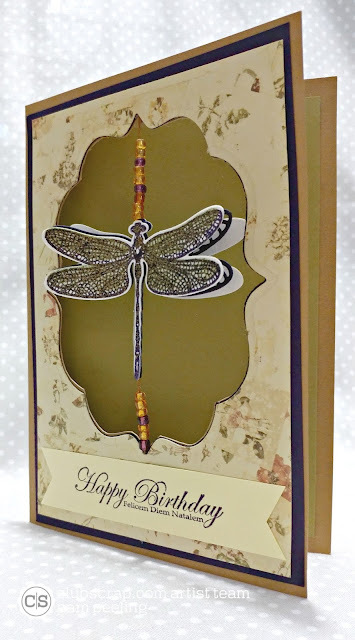 I used 2 duplicate stamped and embossed dragonflies-one on each side and then a die cut dragonfly in the middle. I adhered them just down the middle so the wings would be fluttery. Make sure to try this fun technique and link it up on the blog post! Oh my gosh, so awesome your take on the spinnig cards and what a wonderful idea to add the beads! Wow! You outdid your self Pam! Absolutely love the different shape window. Very clever. And the beads...you rocked it! Just beautiful! 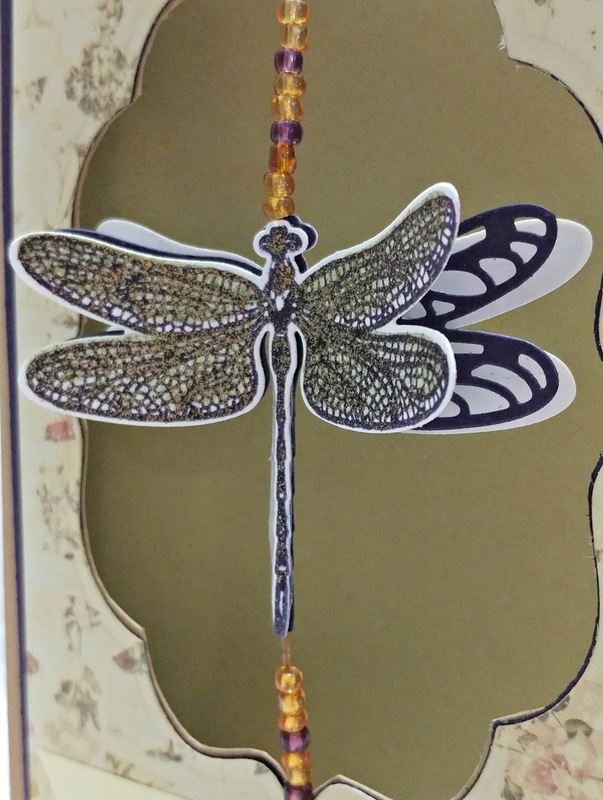 That dragonfly is awesome!